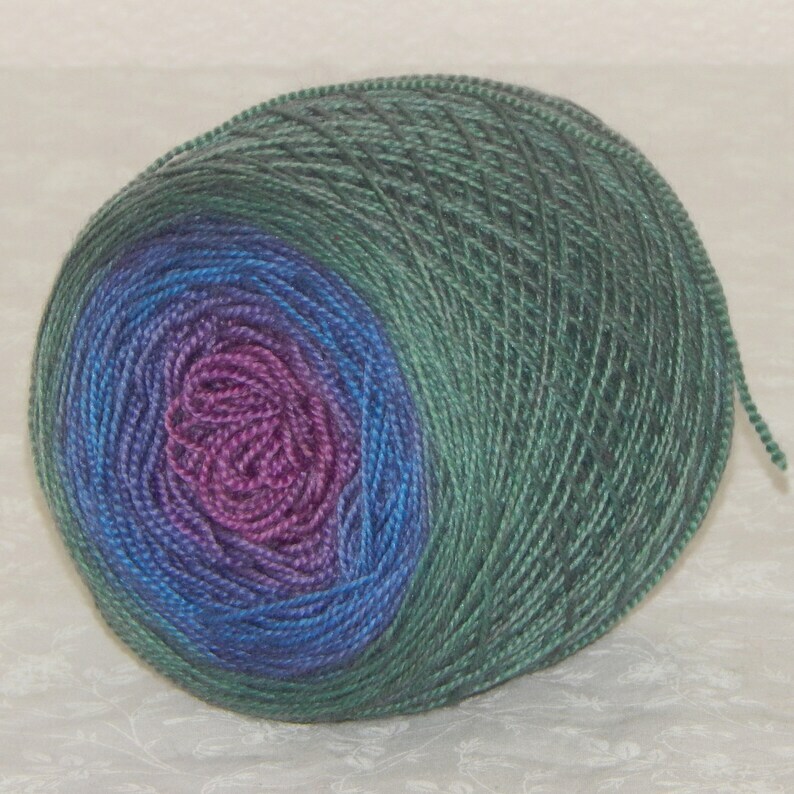 This stunning hand dyed one of a kind gradient yarn is green, blue and purple. Each color is a complex compilation of several colors lending depth and interest to this yarn. 2 ply, 122 grams, 600 yards. This fun yarn is super soft and creates a marvelous stitch definition.